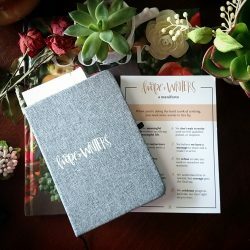 I want to share about this new Bible study that released November 2nd! Here’s a few of the nuts and bolts about the work and behind-the-scenes of it. Open Your Bible is the first Bible study partnershipbetween She Reads Truth and LifeWay Women. This means taking the best of both worlds and melding them into a study that we think women will love. The study is seven sessions long (meaning, if you do this in a group, you will meet seven times). It has six weeks of personal study or homework. Each week of the study will have you diving deep into Scripture to discover truths about God’s Word from God’s Word. This is a print-only study. It will not be on the She Reads Truth website. There are optional video sessions that go with each week of study. These video sessions are around 10 minutes each and feature the authors, Raechel and Amanda discussing truths they’ve learned along the way. We recommend them for going deeper in the study. They will be available via download for group or individual use from LifeWay.com/OpenYourBible. To get a preview of the study and learn more about the format, you can go to LifeWay.com/OpenYourBible and click “Free Sample Chapter.” That will give you a PDF of the first session of the study. We are excited about this study because we have been praying for a way to teach women to get in the Word for a long time. She Reads Truth does a great job of that already and we are so thrilled to work with them on this. We hope you love it, too! I’ve been inspired, challenged and uplifted by the Bible study books I’ve dug into, penned answers in and worked through. I’ve laughed and cried. I’ve had my toes stepped on. I’ve felt trounced at times by the lesson I was learning. I’ve praised my God, my Father for His word and for truth and to dig in with other women and for the way He has shown Himself to me and grown me. I so greatly appreciate the many available studies and the hours and labor of love that diligent authors and teachers of the word have poured into these workbooks and teaching sessions. You can go over here and peruse the other titles available at She Reads Truth. If I didn’t already have several studies, I would be so tempted to do the Born is the King. It sounds very good and is so pretty. If you are looking for a study to deepen your Christmas season, check it out. There is power in those words. Power in THE WORD. Opening it, reading it, applying it, praying it, living it. On happy days. On hard days. On hurty days. On singing days and sad days. Rushed days and relaxed days. Open Your Bible and let His Word touch your life down deep.